The big cable car is impressive in itself, gliding from Surlej up to the mid-mountain station in just seven minutes. 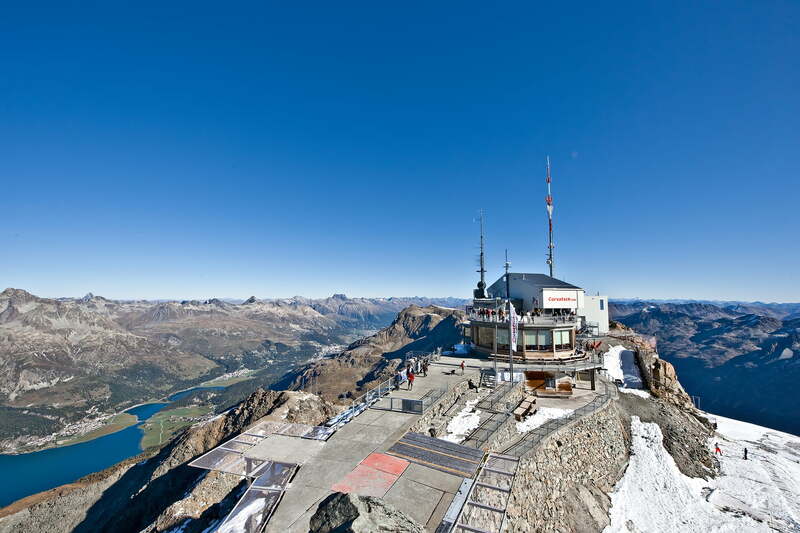 More impressive still is the spectacular mountain panorama that greets you at the end of the next leg of the ride, when you step out of the cabin at the highest summit station in the Eastern Alps at an altitude of 3,303m (10,837ft). We welcome your dog on our mountain cable car, he can go up free of charge. * dogs free of charge. Paragliders free of charge. No bike transport.